I love traveling. It runs in my family. I love seeing how other people live their lives. I love hearing about other people’s passions and what they find to be beautiful and inspiring in the world. I love hearing what makes others crack up laughing (and delighting that we are all quite similar in this department). I love catching glimpses of people living in different weather conditions, speaking different languages, eating different foods, and dancing to different music. On this trip I loved hearing about Hélène and Bruno’s perspectives on all of the different cultures and places that they have visited. For Hélène and Bruno (from France!) our five-day kayak camping trip together was a mini journey within a much larger journey; a journey of a greater scope that has taken them around the world (and not for the first time). Check out their blog (it’s in French) with beautiful photography and trip descriptions (and one day a blog in their own words about our trip). While I am inspired to learn about their year-long around-the-globe trips, what is most inspiring from Hélène and Bruno is the amount of time that they choose to spend in each place, be it country or state. I hope that you have been inspired by the travels of Hélène and Bruno, as well as the spectacular Alaskan scenery. Keep traveling, whatever it is that grabs your attention and piques your senses. Share it with the world. Contact us for information on guided multi-day and single-day trips in Alaska. Follow us on Instagram @anadyr_adventures. We look forward to hearing from you! Thanks for reading. When my manager asked me if I had any interest in leading the 7-day kayak camping trip to train the 3 new guides we’d be welcoming this season to Anadyr Adventures, I didn’t have to deliberate. I gave an enthusiastic “Yes, of course!” What an amazing opportunity. This trip happens at the start of every season (early May) and teaches the new guides paddling and camping skills, as well as introduces them to all of the areas in northeast Prince William Sound where we guide our clients. In addition, it’s an incredible trip that gets them excited to be working in one of the most spectacular paddling destinations in the world. Let’s begin! Roughly 70 miles this itinerary starts in Irish Cove, in the northwest corner of Glacier Island, and quickly rounds Iceberg Point. It follows the entire coastline of the south side of this rugged and beautiful island, which is a wildlife lovers’ paradise. This is where I had 5 Orcas surface directly underneath our kayaks in a camping trip in 2017. The south side is also where Tufted and Horned Puffins spend their summers, alongside hundreds of Steller Sea Lions at their haul-out. 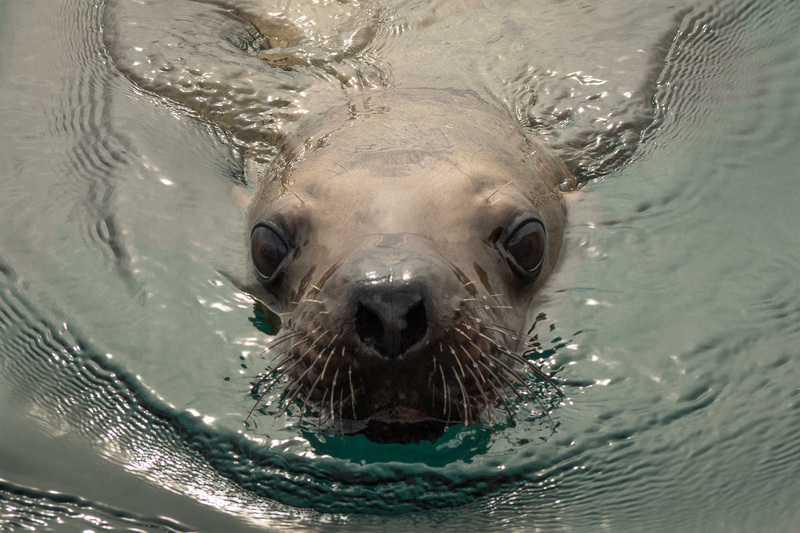 The Sea Lions often accompany us around the island, as they leap and twist around our boats. After Glacier Island we made the 4-mile crossing to Elf Point, the southeast point of Heather Bay, where we camped for two nights. During the day we paddled the beautiful and serene Heather Bay to get into Columbia Bay, a highlight of this itinerary (and one of our most popular day tours). Columbia Bay is where icebergs float that have broken off (calved) from the face of Columbia Glacier, the largest tidewater glacier in Prince William Sound. This glacier experienced much fame during it’s catastrophic retreat in the 80s and 90s. The glacier has since slowed down this retreat, however it still pumps off lots of interesting ice sculptures for us to marvel at. This year brought an interesting surprise. Where was all the ice in Columbia Bay? There was none to be found! Usually this bay is filled with ice for us to paddle around. Apparently, the ice was stuck further up the bay, where it was blocked behind a constriction filled with chunks of sheet ice. It was a shame to not be able to introduce the new guides to paddling around ice on the training trip, however, days later the ice broke out of the constriction and Columbia Bay was once again filled with ice. The paddle from Sawmill Bay into Shoup Bay goes through the Valdez Narrows and along a coastline filled with glacial waterfalls. We spent our final two nights in the Shoup Lagoon, with a gorgeous view of Shoup Glacier. We paddled up to the face, where we explored and I explained how much the glacier has changed since last season, as well as historically (Shoup has gone through a couple of advance/retreat cycles in recent history). And of course took the obligatory jump shots! I have to mention how good we ate out there! One of the points of the training trip is to practice our backcountry cooking skills. Each of us had to provide meals for the group. No one was disappointed or hungry on this trip. Due to dietary preferences we enjoyed a vegan menu (meat and dairy options on the side), which I will write a separate blog about with recipe ideas. I’ve paddled this particular itinerary a few times. It’s a winner:) This is an incredible trip with lots of opportunities to experience wildlife, glaciers, and to be awed by the remote ruggedness and beauty that Prince William Sound has to offer. However, if seven days scares you off or doesn’t fit with your schedule, have no fear. This corner of the Sound has many amazing trips to offer; overnight excursions to Shoup Glacier, or longer trips to Mid-Prince William Sound’s Unakwik Inlet to see Meares Glacier. All that you have to do is check out our other Alaska itineraries and contact us to start planning your trip-of-a-lifetime. See you on the water! Paddle the Face of Columbia Glacier on Day One, the outside of Glacier Island on day 5 and hike and paddle out of the Lodge at Ellemar in between. Lee on Columbia Glacier Sea Kayaking Day Trips! Jim Nichol on Columbia Glacier Sea Kayaking Day Trips! Photo galleries of our many offered trips. 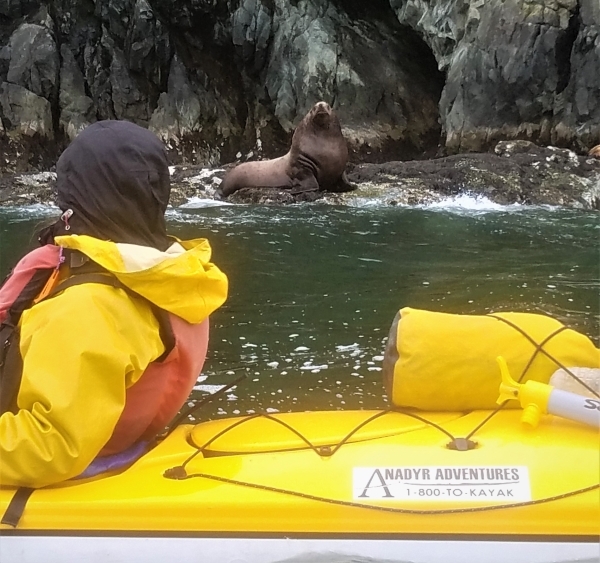 Anadyr Adventures offers four types of trips: day trips for those with limited time in Valdez, multi-day camping trips, Mothership trips for those desiring the amenities of a support vessel, and lodge based trips offering Prince William Sound day excursions from the comfort of a remote Alaskan wilderness lodge. Keith Goetzman of Pioneer Press writes about life amongst Columbia Glacier's "Growlers". Read about what professional travel consultants are experiencing with Anadyr Adventures. Read what our clients from Trip Advisor are saying about our Alaska sea kayaking, hiking, and camping trips. A Denver Post writer accompanies an Anadyr 5 Day trip.